Federal University of Agriculture, Makurdi (FUAM) Post-UTME Screening Schedule/Time-Table [Dates, Time and Venue] for 2018/2019 Academic Session. 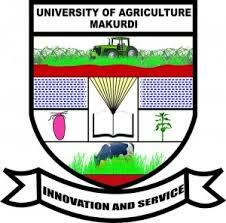 Authorities of the Federal University of Agriculture, Makurdi (FUAM) has published the screening schedule/time-table for their Post-UTME admission exercise. FUAM Post-UTME Screening schedule contains the dates, time and venue for the post-utme exercise.